I joined a birthday swap a while ago on Ravelry and the time soon came to post off my parcel to my partner in the States. 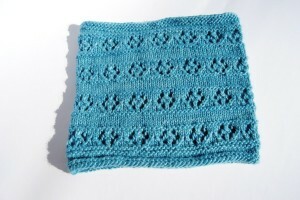 One of the things I included was this cowl, which is an adaptation of the Norie hat I made a few months ago. Its in Malabrigo Silky Merino from Jellywares, which is just luscious!